domains. Both essays appear in the most recent issue of the journal Philosophia Reformata (vol. Heather and Doug Blomberg begin a busy month of travel from Australia to the U.S. and Canada on April 24th. Please pray for a safe and enjoyable journey for them both as they first travel to Los Angeles for the pre-thesis oral exam of Junior Member Jon Andreas on the 27th. This is a deeply significant milestone for Jon, so we ask also for prayers of clarity of understanding and articulation on his behalf. Please pray also for the Examination Committee—Doug (Jon’s mentor), Ron Kuipers, Brian Walsh (internal examiners), and Roy Clouser (external examiner)—as they prepare the exam and as they guide Jon through this process. We also ask for prayer for two other of Doug’s students as they sit their doctoral examinations this month. Jason Mills, a St. Michael’s College PhD candidate, will take the written portion of his exams, and Joonyong Um, an ICS Junior Member, will begin his PhD examination process. Please pray for insight and focus on these students’ behalf as they prepare for and take these exams. Please pray also for Doug and the other examiners in their various preparations to preside over these exams, and that they might have clarity and wisdom in their evaluations of these students when the time comes. Chris Gort was born in Driebergen in The Netherlands in 1941. He was born into an educator’s family that followed its calling to Jakarta in Indonesia and on to Dokkum in the northeast corner of Friesland in The Netherlands. In 1960 he immigrated to Canada under the sponsorship of a great-uncle in Edmonton. Upon arrival he soon met John Olthuis, scored an invitation to John’s wedding in 1961, where he met John’s sister, Elaine, who would become the love of his life. They married in 1966 while he was studying for his MSc in Engineering which he would receive in 1968. In 1968 he and Elaine would also move to Toronto where Chris took a position with IBM. Adventures in Germany followed and then a return to Toronto in the late 1970s for good. In Toronto, Elaine could develop her own gifts in medical care and Chris left IBM to become a successful project manager overseeing his share, we might say, of the remarkable growth of Toronto throughout the late twentieth and early twenty-first century. 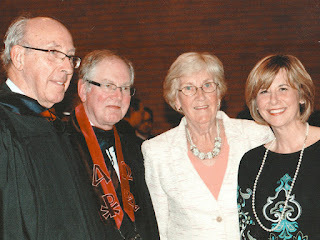 Chris’ relationship with the Olthuis family ensured a relationship to the Reformational stream within the community of Dutch immigrants in Canada. John Olthuis tells the story of an early meeting involving himself, Chris, and Jim Visser in Edmonton that makes up a crucial episode in the earliest prehistory of the present-day Citizens for Public Justice. With John and Jim Olthuis for brothers-in-law, and Jean Olthuis as sister-in-law, there was no escaping the swelling energy of the Association for the Advancement of Christian Scholarship and its fledgling educational initiatives, above all, the Institute for Christian Studies and, for a number of years, the Curriculum Development Centre. Nor were Chris and Elaine immune to the excitement around the Christian Reformed Church Chaplaincy at the University of Toronto and its Hart House Fellowship which evolved into a worship community calling itself St. Matthew’s-in-the-Basement. For the Institute for Christian Studies, the story of Chris reached a new level when he agreed to serve on the ICS Board of Trustees in the early 2000s. The beginning of his first term was shrouded by financial crisis that led to a painful lay-off of staff. When in his second term he agreed to serve as Board Chair, ICS found itself facing new challenges that caused Chris to dive into the inner life of the ICS in a big way. In 2008 ICS President John Suk resigned. Chris approached then ICS Academic Dean Bob Sweetman and convinced him to serve as Acting President within a heightened team concept of leadership. Chris himself would chair a Leadership Team made up of himself, Bob Sweetman, and Claire Veenstra (then, Director of Finance and Administration). Together they faced down the ravages of the financial crisis of 2008-2009 and began to seriously try and rethink everything about ICS. Chris took an even greater role when Bob Sweetman stepped down as Dean and Acting President in November 2010 to fight a second round of cancer. Chris became President and served ICS in that role for the next 2½ years. Much good that has slowly come to pass in the intervening years had its beginnings in those 4-plus bracing years. Chris encouraged academic and administrative staff to come up with good ideas, but emphasized that good ideas were only a very small part of the process by which good new things come to fruition. He also modeled how effective team-building happens. He empowered academics at ICS to develop new programs of study and research. ICS’s Centre for Philosophy, Religion, and Social Ethics is a good case in point. The basic idea was a part of a White Paper on ICS’s future written by Bob Sweetman. The CPRSE was given its name and first concrete form by Lambert Zuidervaart, and then given its present orientation and team-building ethos by Ron Kuipers. All of these initiatives emerged out of an effective communal leadership context. Throughout his presidency Chris encouraged ideas around partnerships, preaching the need over and over again. Again, the several collaborative projects that are currently in development—with The King’s University in Edmonton, with The Teacher’s Academy/Edvance in Ontario, with Knox College in Toronto—can be seen as connected to his warm advocacy of partnering and of an openness to the changes real partnering demands. Above all, Chris’ team-building talents modeled a style of leadership—a mesh of empowerment and responsibility—that has become something of a mantra within the ICS today. Through it all, ICS has found a way to be resilient and focused on present and future service in the face of challenges that could easily have undone it. Chris Gort’s leadership has been a great blessing. So it was that we at ICS were taken aback when Chris was diagnosed with ALS just short of 2 years ago. 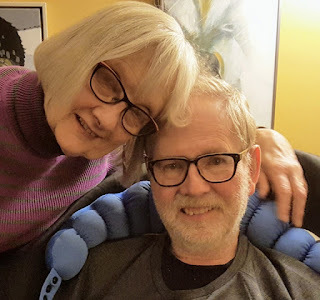 We have watched with wonder as he faced his disease with dignity and thoughtfulness, and were saddened by his death on April 2, 2019. We offer this memorial tribute as a token of our gratitude to Chris for his gift of self to ICS, to Elaine for lending us her retired husband when we had such need, and to our God whose loving hand was surely at work in the happy conjunctions that led Chris to ICS and ICS to him. The Finance Committee, along with the Leadership Team, are hard at work on the coming year’s budget. Please pray for them in their deliberations, that they might be granted insight and wisdom from the Holy Spirit as they make stewardship decisions for the 2019-2020 budget year. CPRSE continues to explore new partnership possibilities with community organizations that share the spirit of inquiry and openness of ICS, by seeking funding opportunities, areas of common interest, and potential collaborative projects. Please pray that CPRSE is able to continue its history of partnerships through fruitful, innovative, and life-giving collaborations in 2019 and beyond. Thursday, April 11th is the last day of classes for this academic year. This year, ICS is happy to report that we are resuscitating the tradition of holding a spring retreat! Give thanks along with us as we build community, and together reflect on the historic academic year now winding down at ICS. Please pray for this important culminating event in the school year as we listen to one another’s experiences and praise God for his sustaining grace throughout this past year. ICS/CPRSE’s third annual Undergraduate Workshop, “God and Politics: Religion and Public Life in the 21stCentury,” is quickly approaching. Our planning team is busy looking after the final logistical details. Please pray for the workshop’s planning team, and for all those involved in the event, as they prepare to receive undergraduate students from across North America. Please pray for Ron Kuipers and Pat Webb this week as they travel to Kingston on Wednesday to meet with our supporting community there. Pray for safe travels and engaging interactions in our individual visits along the way and our group event on Wednesday evening. We give thanks for our Junior Members who are such an important part of our community. We pray for them as they wind up their course papers over the next few weeks and make plans for their summer work and studies in the coming year. But the angel said to the women, “Do not be afraid;I know you are looking for Jesus who was crucified. He is not here; for he has been raised, as he said. Come, see the place where he lay. Then go quickly and tell his disciples, ‘He has been raised from the dead and is going ahead of you to Galilee; there you will see him.’ This is my message for you.” So they left the tomb quickly with fear and great joy, and ran to tell his disciples. Please pray for Elizabet Aras, Registrar, Gideon Strauss, Academic Dean, and the Academic Council as they focus on finalising the agenda and supporting materials for the upcoming Senate meeting (May 16). Please pray that they will accomplish all that is needed to be done in this busy time. Please pray this weekend for Ron Kuipers, and Brian Walsh, as they travel to California to give a PhD area exam to an ICS student, currently in prison there. Pray that all will go well logistically on Saturday and that Ron and Brian will have wisdom and discernment as they lead this academic examination. We give thanks for the opportunity to provide this educational experience for this student in difficult circumstances. In three weeks time, the Senate and Board will meet again in Toronto. We give thanks for their service, and pray for safety as they travel from near and far. We ask God to grace their deliberations with wisdom and vision. On Monday, Bob Sweetman is participating as "Internal-External" Examiner in the formal defence of the University of Toronto's Centre for Medieval Studies candidate Ellen Annika Margareta Ekman. Her Ph.D. thesis titled “Anselm of Laon, the Glossa Ordinaria, and the Tangled Web of Twelfth-Century Psalms-Exegesis” is part of a significant effort of Ellen's director, Alexander Andre, to bring to light the ways in which the Bible became the principal text of formal theological study in the period of history (the twelfth and early thirteenth century) when the educational institution, the university, was born. Our Annual Convocation is fast approaching and we want to pray that the many preparations for this important event will go well and come together in time. We pray also for the faculty, students, and board members who will be participating in this important ceremony, and for Elizabet Aras, our Registrar, as this is her first time overseeing this event. On April 28-30, ICS/CPRSE will join a number of academic institutions and community organizations in the “Our Whole Society” conference, an initiative spearheaded by the Canadian Interfaith Conversation. This conference is a space for academics, practitioners, faith leaders, and community members, to discuss the role of faith in public life. Please pray for CPRSE staff, as they take up active roles in this important event.